Everyone has a Samsung Galaxy S III. It’s a craze now. So what would you do if you like to be different from others? AT&T US has an exclusive offer you. 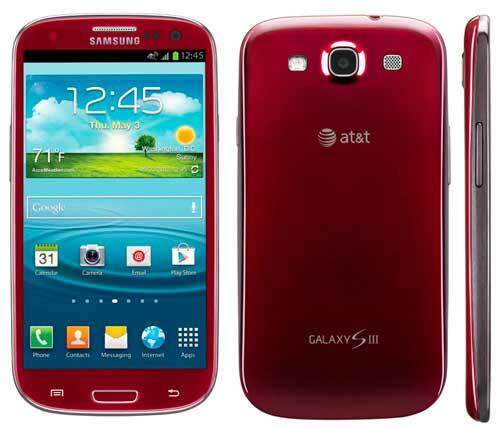 They are very happy to be the only mobile phone operator in the world who offers exclusive Garnet Red version of the Samsung Galaxy S III smartphone. The Garnet Red edition is already up for pre order from July 15. And expected time of release is at least 10 days from now, July 29. Fortunately AT&T is asking the same price as the already available Marble White and Pebble Blue versions. If you are interested to save some of yours money then think about Amazon. They are offering Marble White & Pebble Blue version of Samsung Galaxy S III $10 less than AT&T.